As most of you know, we use GoPros for all sorts of video content at RevZilla, so I couldn’t help but get a little giddy when I saw an e-mail in my inbox a few weeks ago containing images of the new GoPro Hero5 Black and GoPro Hero5 Session. Today, GoPro officially rolled out the new action cameras at $399.99 and $299.99, respectively. 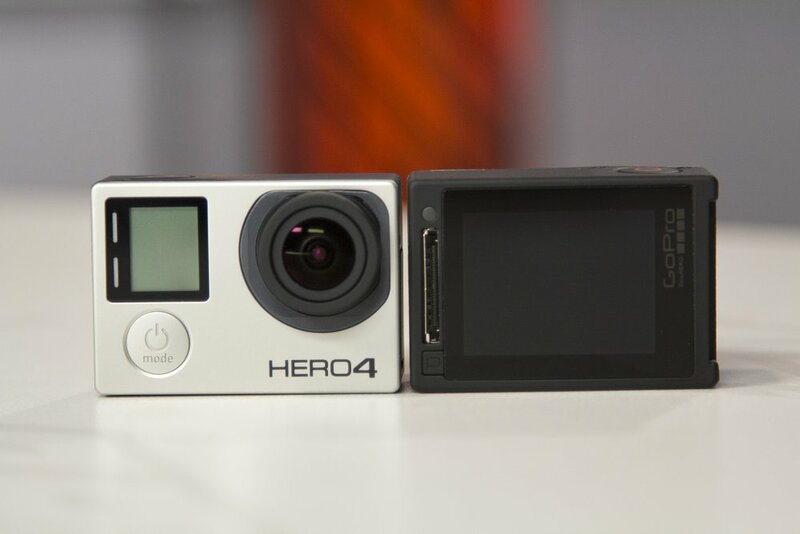 In recent years, we’ve seen iterations from GoPro’s Hero line including the Hero3+ Black and Silver, Hero4 Black and Silver, and Hero4 Session. One might think the RevZilla video team uses only the latest and greatest, but strangely, we have stuck with the Hero3+ Black for our bike reviews (the Hero4 Black was overheating on us in the hot conditions we frequently shoot in, which is a big no-no for a professional production environment). So, as you can imagine, one thought keeps rattling around my head: Can GoPro retain the throne as the top action camera on the market? Some might argue they have already lost it. The entrance of the Hero4 Session in 2015 (check out my review) represented a notable step forward in terms of form factor, yet a degradation in actual video quality. It’s hard to forget about the uproar around the exorbitant $400 price tag, too. Since then, GoPro has sliced that price in half. GoPro Hero5 Black. GoPro photo. While GoPro has been working to recover from that fiasco, it’s difficult to ignore the articles popping up on my Facebook feed lately riddled with headlines challenging the giant (as a cameraman, I happily cave to the targeted marketing). Imitation is the highest form of flattery, so GoPro should be ecstatic with the myriad of competitors offering cameras at competitive price points such as Yi Technology, SJCAM, Sony, Veho, and Garmin, right? While these brands make action cameras of varying price, features, build quality, and ease of usability, this puts the pressure on GoPro to up their game and take their product to the next level. GoPro Hero5 Session. GoPro photo. I expect to shoot a full video review of the Hero5 Black (and perhaps Hero5 Session) by the end of October, with a dual purpose in mind: First, assess GoPro’s position in the action camera industry, based on their recent release, and second, help you decide whether the new camera is worth the upgrade or worth switching to GoPro, or whether you should look elsewhere altogether. You’ll likely see all the customary tests, such as a focus on new usability features, image quality, low-light situations, battery life, and so forth. If there’s something specific you want to see or know, tell me in the comments below.